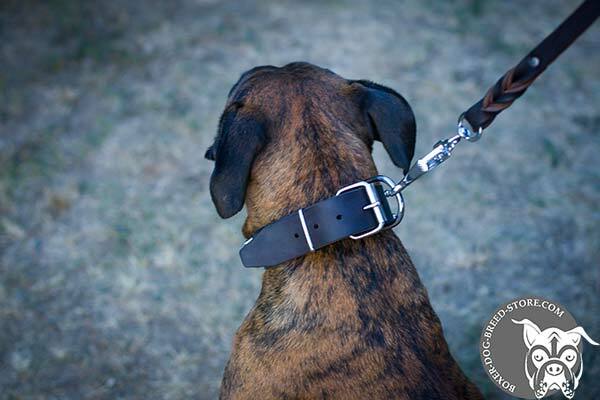 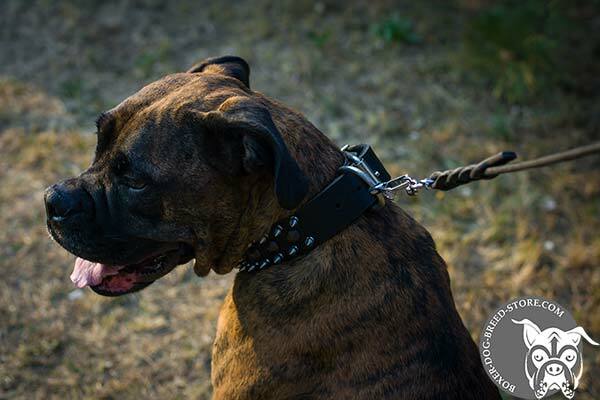 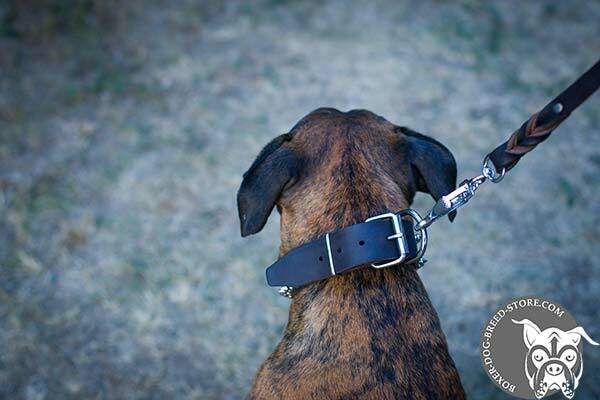 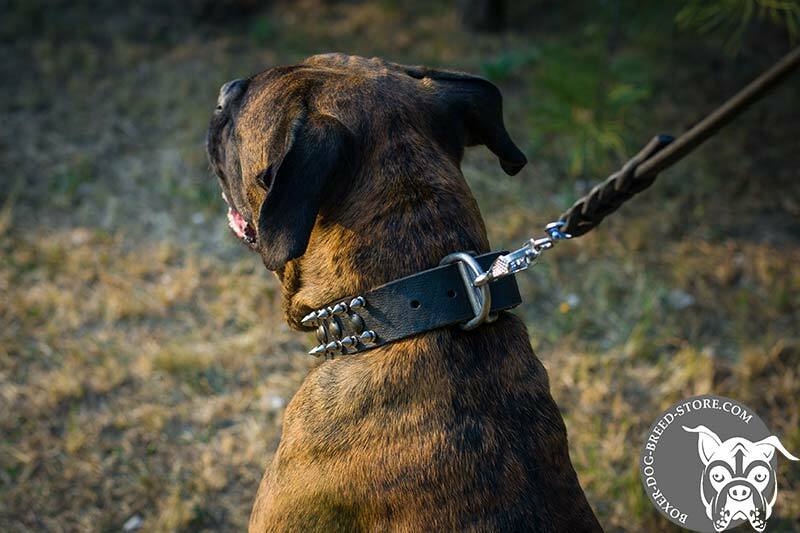 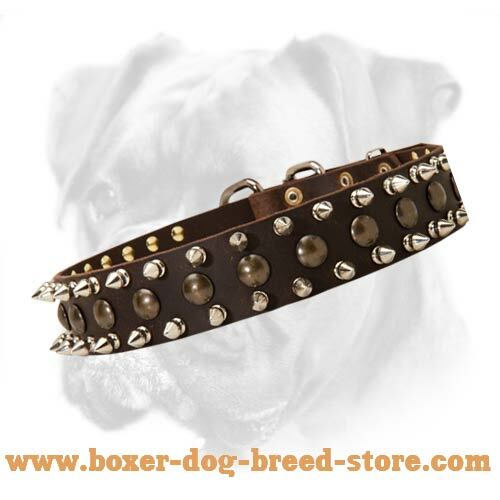 Manufactured in best traditions of decorated leather collars, this Leather Spiked and Studded Collar can be an amazing adornment for your Boxer! 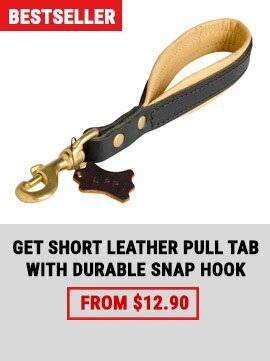 Your dog deserves only the best! 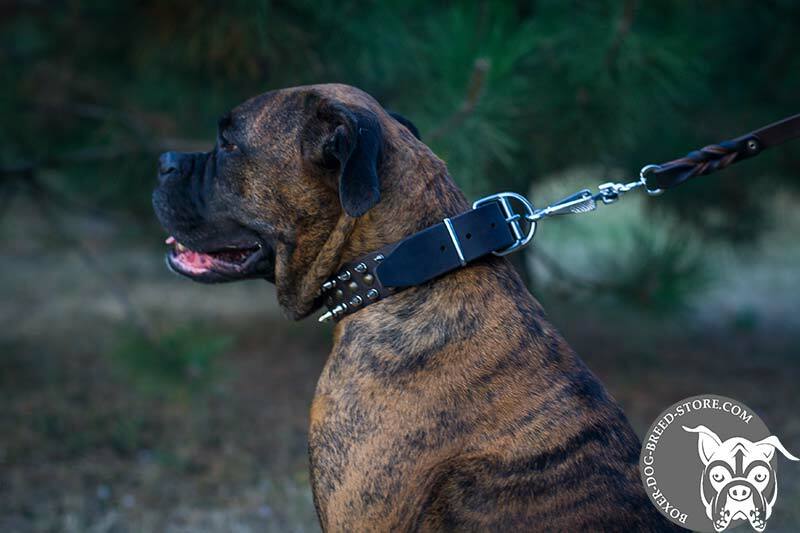 This piece of dog training equipment combines, probably, all the advantages necessary for your Boxer - safety, comfort and excellent quality! 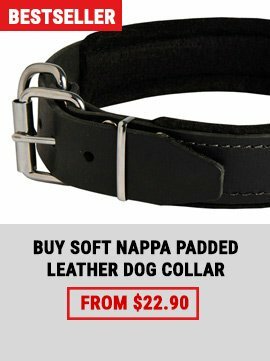 Do you want to try it? 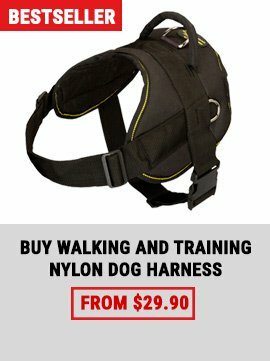 Do it hardily as the price doesn’t hit your pocket! Awesome collar to beautify your doggy! 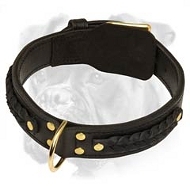 2ply and padded collar is usually made 1 inch bigger so it could perfectly fit your dog. 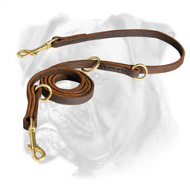 It is made of 100% full grain genuine leather, thus, this collar is definitely of high quality and has very charming look. 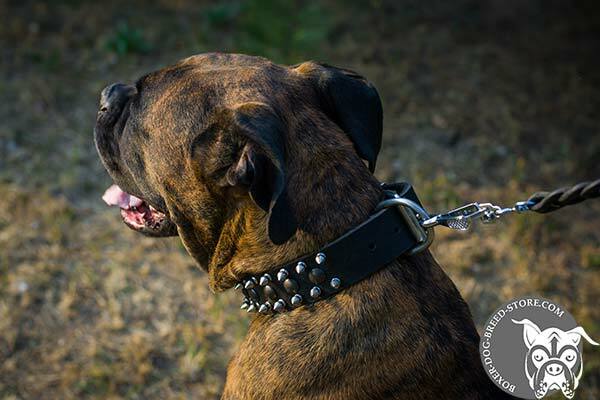 Nickel plated and brass fittings are much stronger than the usual steel ones and also rust resistant. 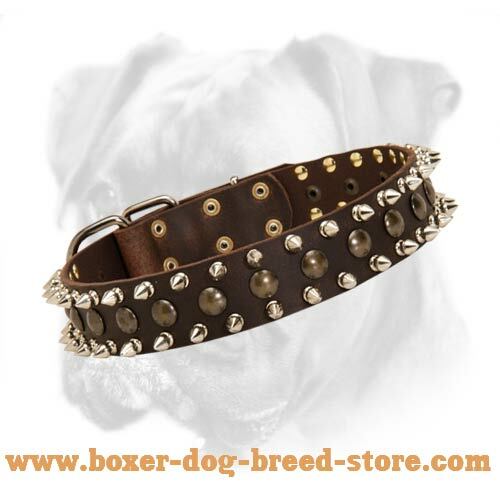 Besides, silver and gold colors are not odd at all, but instead they give some special royal look to your Boxer. All fittings are riveted into leather. Due to it they won’t fall off the collar and it will surely serve you for years! 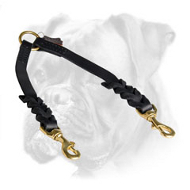 It is easily adjustable and worn comfortably! 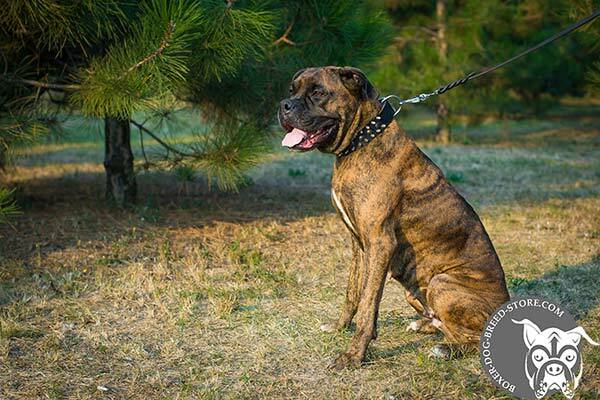 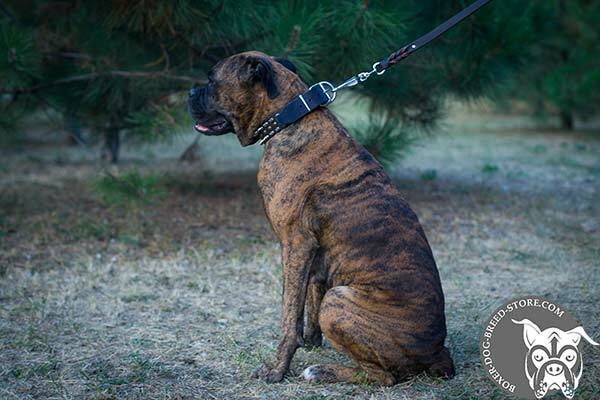 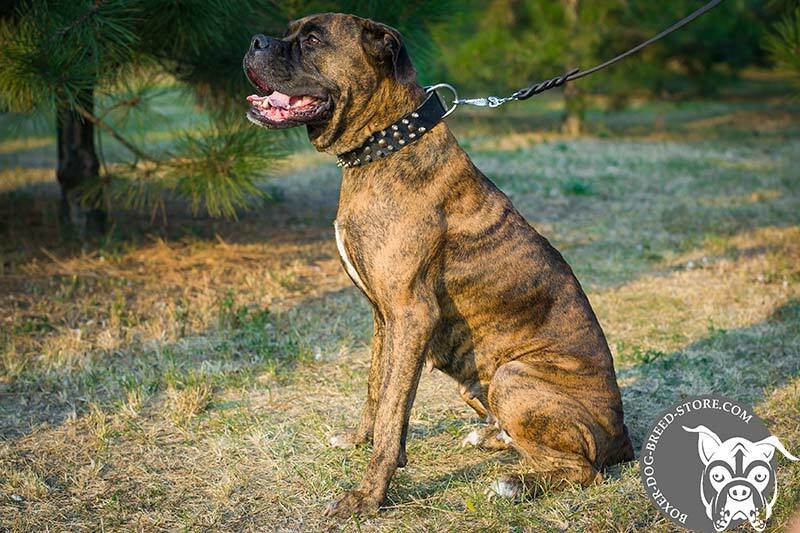 It is extremely popular among Boxer owners as it fits high strength and courage of this breed.